Disclosure: I received a sample for review purposes. All opinions on this blog are my own. This post contains affiliate links. Do you ever complain that you need more “me time”? Me too. As moms, it seems we are always so busy taking care of everyone else’s needs that we forget about our own. 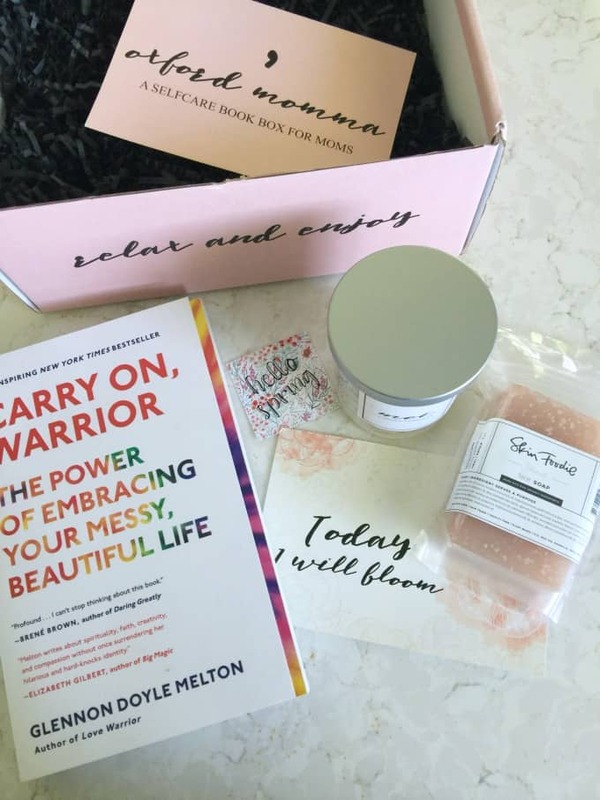 I’m a huge fan of subscription boxes and have fallen in love with a new self-care subscription box for moms called Oxford Momma. Inside each box is everything you’ll need to pamper yourself for a much-needed time out from responsibilities. Every month, subscribers receive a self-care book plus four to five self-care items to round out your experience. Take a look at what was inside my box! 1. 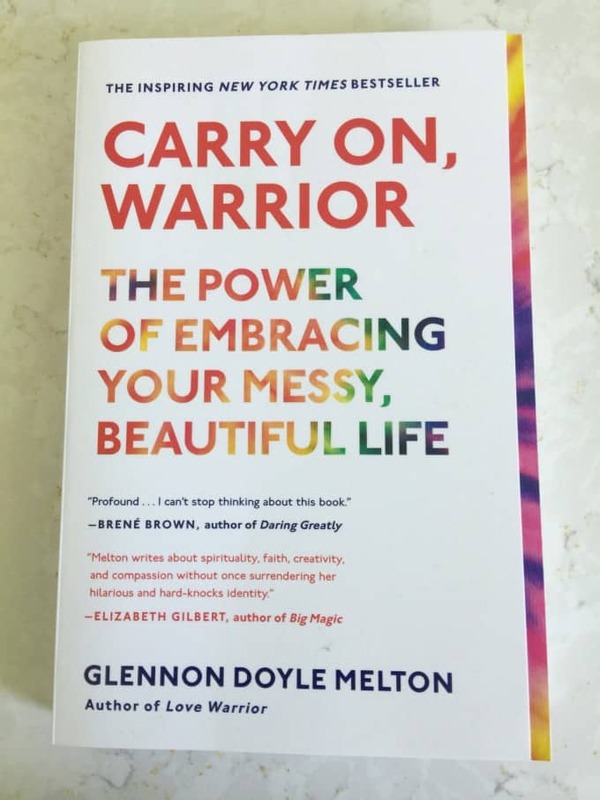 Carry On Warrior by Glennon Doyle Melton ($16 value). This book came at the perfect time for me. It’s a book of inspirational essays that has received rave reviews. I read to relax in the evenings and am looking forward to diving into this book. 2. 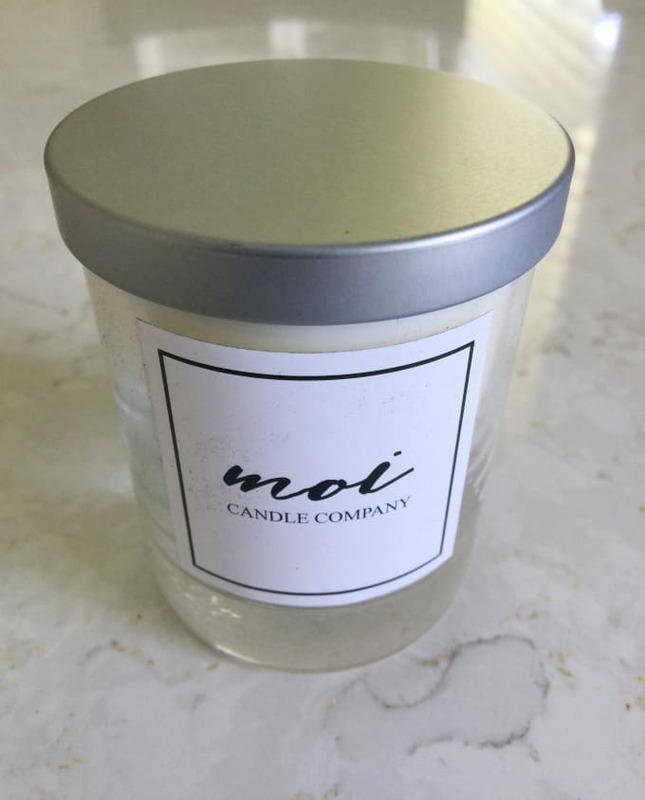 Peony Scented Soy Candle ($24 value). This candle is exclusive to Oxford Momma subscribers! It smells lovely without being too strong and overpowering. It burns for approximately 45 hours and is made from clean burning soy wax. I like to light mine when I’m soaking in a hot tub. 3. 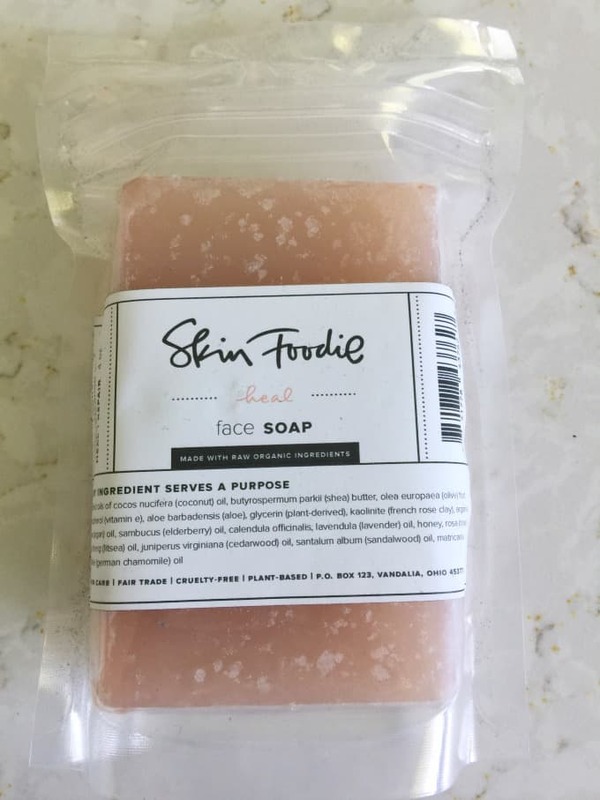 Himalayan Pink Salt Face Soap ($6 value). I like that it’s made for sensitive skin since I have to be careful with face products. My face feels radiant and clean after using it. You can also use it on your body. 4. Art Print & Postcard ($3 value). This postcard is another exclusive product just for subscribers. 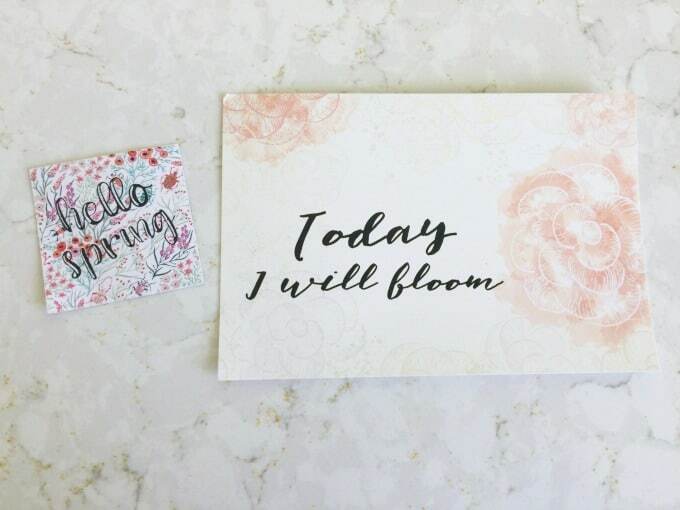 Put in a picture frame, on your fridge or bulletin board to serve as a motivational reminder. 5. Monthly Theme Sticker ($3 value). Oxford Momma subscribers receive these exclusive stickers in their monthly boxes. I’m thinking of making a vision board with the postcards and the stickers. You can choose between the Mini Mailer and the regular box. The Mini Mailer has the book of the month plus bookish treats for $19.99/month. The Oxford Momma Box like I received is $39.99/month. You can get a discount if you buy a longer subscription plan. Shipping is FREE in the USA and $15/box to Canada. I subscribed! Why not join me and let’s enjoy some “Me time”?